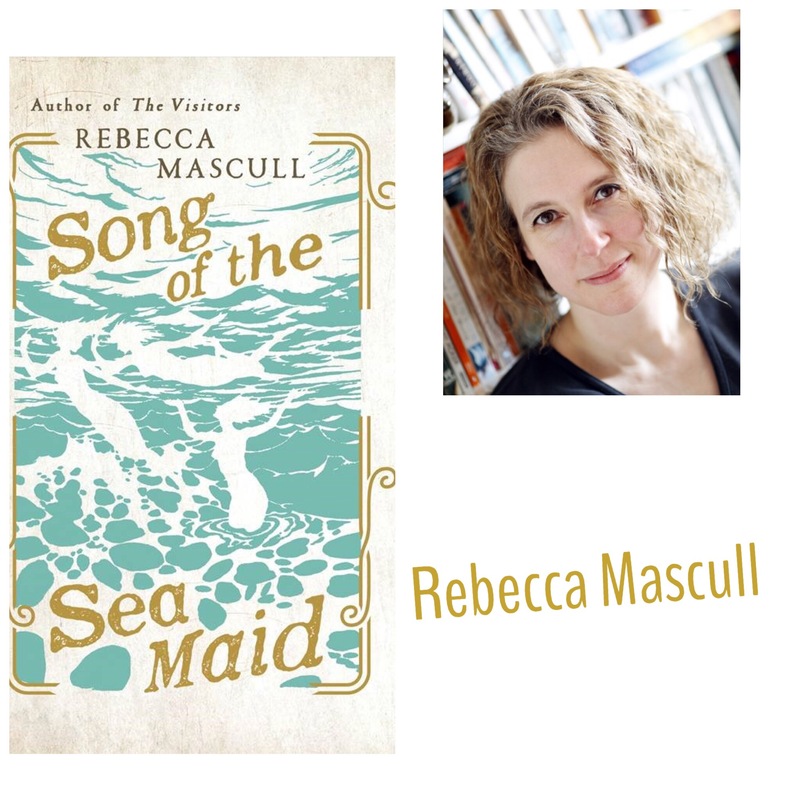 After reading Song of the Sea Maid , (I loved it so much I reviewed it) I was impatient to discuss the book with the author, Rebecca Mascull. Rebecca is also the writer behind The Visitors, which we talked about here . She is currently working on her third novel. You started with the idea of a female scientist breaking society’s conventions by travelling unaccompanied for research; where did you go from there? In this novel, I wanted to explore the notion that some people in the past may have had revolutionary scientific ideas and yet they had no power or voice within society to make those ideas heard. Thus, making my scientist female and also destitute – with no home, no capital, no connections – would place her in a very disadvantaged position within 18th-century society. I researched the Enlightenment and the kind of ideas that were going around at the time and I wanted to place her at the centre of that and yet, at the same time, be very isolated and unable to share her ideas with many people. I wanted to put lots of obstacles in her path and see how she negotiated them. Dawnay is an intriguing character. Is she entirely fictional or did you borrow her from a history book? Thank you! I am glad you find her interesting. There are elements of her that have been influenced by female scientists of her day. If you want to read further, you should try ‘Hypatia’s Heritage’ by Margaret Alic. This fascinating book details the huge range of female scientists that there have been from antiquity. I read about how female scientists had to work doubly hard to demand the right to learn in the first place, let alone practise science. A good example of this is Sophie Germain, who battled with her parents to let her learn mathematics. So, Dawnay has elements of many of these trailblazers in her, yet I’d say in herself she is purely fictional. Who arrived first in your mind: Dawnay the intelligent urchin-child or Dawnay the female scientist? I knew that I wanted to write about the female scientist and I wanted it to be a kind of bildungsroman, looking at what formative experiences she would need to go through in order to create a scientist and also how her scientific mind would manifest itself in her early years. As I said above, I wanted her to start with nothing, so I thought the orphanage would be a good place for her to begin, particularly as the setting up of asylums and orphanages by benefactors was a bit of a fashion in the 18th-century, so it fit nicely with the times too. I visited the Coram Foundling Museum and learned about their daily routines – some of this material finds its way into Dawnay’s asylum, yet in some ways her experience is a little harsher. But, orphans being taught how to read and not how to write is absolutely accurate, and I felt how frustrating it would have been for children, yet also particularly for one with an enquiring mind like Dawnay’s. So I knew she would have to do something about that and circumvent it. And so she does! Song of the Sea Maid has strong feminist themes- was this your intention from the start? Honestly, it wasn’t. I can see now the book is finished and I’ve heard it called a feminist story, that obviously it has those elements. But I didn’t set out to prove a point. I just wanted to place someone with no power in that setting and see how they got on. I like writing from the female point of view at the moment – in future I might try the male point of view as well – but it suits me right now to write from the female perspective. Once it was written, I realised that there were parallels with modern day struggles for girls to be educated in various places around the world, so in that way it is a timeless – or timely! – theme. 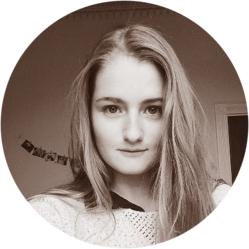 I am particularly interested in characters who are determined to achieve a goal – male or female, doesn’t matter to me necessarily – but I want to see how they cope with the obstacles put in their way. I also like to explore the idea of what is lost along the way, what is sacrificed by people who are so single-minded. And so, with Dawnay, I realised that one of her tests must be to learn to value others and love itself as highly as she does her scientific quest. This could be true of a man or a woman. However, during my reading into the research surrounding early humans, I felt that there was a stark gender bias, not only in the interpretation of what has been found but also general public understanding of early humans. So, I felt it was a topic ripe for looking at with a female eye. Did you visit the places Dawnay visits in the book yourself, and do you think it is possible for a writer to create an authentic story set in a place he/she has never visited? I did visit London and went to the Foundling Museum as I said, and also to Dr Johnson’s House, to get the feel of an 18th-century London townhouse. I also visited Fairfax House in York, which was similar, and Burton Constable Hall near Hull, which has a scientific collection (that I will talk about in question 7!) As for Dawnay’s further travels, I have been to Portugal and Spain – albeit 20 years ago – and travelled in that area quite a bit. I remember going to visit ancient caves in northern Spain and seeing prehistoric handprints, which has always stayed with me. The details of the landscape, flora and fauna of the Berlengas Islands and of Menorca in that period I have built up a picture of from my research. I do believe it is possible for a writer to create an authentic story about almost anything, as long as their research is thorough. It is not possible for every writer to visit every place they may want to write about. You have to do your best, use first person accounts and triple check all your facts. After that, it is up to you and your imagination. But after all, we are talking about fiction and at some point the reader has to trust the writer and willingly suspend their disbelief, or not. Of course, if you are writing historical fiction, you don’t have a time machine! So your re-creation of a setting from the past may well be helped by visiting that setting in the present day, but the atmosphere, the sounds, smells and sights are going to be highly reliant on both research and imagination. I would say, though, that if you can visit helpful settings then you should, as it can give you marvellous details you may not glean from only reading. Can you talk to me about the research for this book? What did you have to look into and how long did it take? Where do you find the beautiful details like what people ate and what sort of strange objects Dawnay’s benefactor’s rooms would contain? The Petrified Tongues of Sea Monsters come to mind! Specifically, I visited Burton Constable Hall near Hull, as I’d heard they had a scientific collection from the 18th-century. And they certainly did! They had a full cabinet of curiosities – a room, actually – with glass cabinets and drawers stuffed with every kind of curious object an 18th-century naturalist could desire. Almost all of the details of Mr Woods’s collection comes from there. The fascinating thing, of course, is that in that age they didn’t always know what they were looking at, thus, a narwhal tusk is labelled as a unicorn horn! There were all sorts of weird pictures in books of mermaids and dragons and suchlike. So it was such an interesting period where myth and science collided. When I visited Fairfax House in York, I spent a lot of time in the kitchen looking at old menus from the 18th-century, in order to find out what kind of thing Mr Woods’s cook would be preparing. I had to find out the exact date when broccoli first started to be eaten in England, for example! For Portugal and Menorca, I had to rely on historical research – but I was lucky enough that my assistant editor Francine Toon grew up in Portugal, so she was able to verify some of the local delicacies. Was there something in particular that drew you to the 18th century? I know from your Pinterest account that you stick pictures of the period you are writing about on your walls-what did that look like during the writing of Song of the Sea Maid? Did you do anything else to immerse yourself in the period/setting? I chose the 18th-century because I wanted it to be a good long time before the developments surrounding Darwin’s theories. I wanted to imagine the scientific period in which religion, superstition and myth all overlapped with scientific investigation. Of course, the 18th-century was the period of the Enlightenment, yet people were still highly superstitious and of course many were deeply religious, so it became a kind of battlefield of the mind. I felt all in all it was the perfect stage for Dawnay’s ideas. I do create picture walls for every novel I write- the cupboard doors in my study are covered in photocopies and printouts of the period and the particular topics involved in the novel. So, for Sea Maid this included a wide variety of 18th-century images, such as clothes, interiors and travel; also, photographs I took of the cabinet of curiosities; images from the age of sail; cave art, pictures of foreign settings etc. When I walk into my study to begin my day’s writing, I will often stand and stare at the images to try and transport myself into that world and shut out the modern world. It works pretty well! I also read a lot of fiction and non-fiction that was written in the 18th-century – such as Henry Fielding, Daniel Defoe, Tobias Smollett, Laurence Sterne etc – and I really did start to think in 18th-century prose! Do you research to add authenticity to pre-conceived ideas or do you also get ideas from what you read during research? I think it’s a mixture of both. I start off with an outline of the story, but once I start researching the period and the necessary topics I do find myself discovering things I knew nothing about and these do often send the plot in directions I hadn’t imagined. But that’s fine! And all part of the process and the fun of writing. What is your favourite part of the novel and which bit did you enjoy writing the most? I was writing most of this novel in the wintertime, and although I am more of an autumn person than I am of summer – I hate really hot weather – I did find myself really enjoying the bits in Portugal and Menorca, especially when she was paddling or wading in the Mediterranean, whilst the rain was coursing down my windowpane. It was perfect escapism in that way. What is your advice to writers of historical fiction? I’d say be as thorough as you can and always check your facts from more than one source. What I’ve found reading historical accounts is that so many are biased, either knowingly or unknowingly. I remember researching the Warsaw ghetto for a project once and finding that the accounts by Catholic Poles and Jewish Poles were quite different in their focus and interpretation of events and I learnt to seek a range of sources for any one fact. I think if you do that, you’ve covered yourself from a purist’s point of view and then within that – because you are after all writing fiction – you can have some leeway to invent. I like to think that I write within real history yet I place a fictional character within it and watch them move through it. I’m also a great believer that just because something has not been discovered yet, that doesn’t mean it never will. Nobody knows everything and when I see reviews that say, “That would never happen!”, I do think that in general it’s quite a presumptuous statement. For example, if you know nothing about the hidden history of female scientists you might say about this book, Well, she would never be able to travel abroad on her own or even learn to study science in the first place or be taken seriously by any men in that period. But my extensive research proves all of that wrong, and what’s more, I read about women travelling the globe on ships alone that got into far more dramatic scrapes than my heroine or even those who travelled and studied and came to no harm whatsoever. Truth really is stranger than fiction! I’m not saying novelists don’t make mistakes – they do, all the time – but what counts for me is that the period is generally authentic and that the reader is convinced enough to have a willing suspension of disbelief. Having said that, there is always going to be someone who says they know more than you do. But perhaps the next time anyone finds themselves saying, That would never happen!, perhaps they should spend some time doing some pretty thorough research first…These days, I’ve learnt to write a detailed Author’s Note at the back of the book, which will hopefully answer some of the reader’s questions that may have been raised in their minds. Then if they want to go and research further, all the better! I’m all for learning, however it comes. I’m currently working on book 3 for Hodder and Stoughton. I can’t say much about it, but it is set in the Edwardian period and it begins just down the road from me, in Cleethorpes! Lovely place, if you’ve never visited! Thanks Rebecca for another fascinating chat! Thank you. Sounds like a fascinating book. Will it be released in Australia? Hello Jan. The book is on the Australian Amazon now!